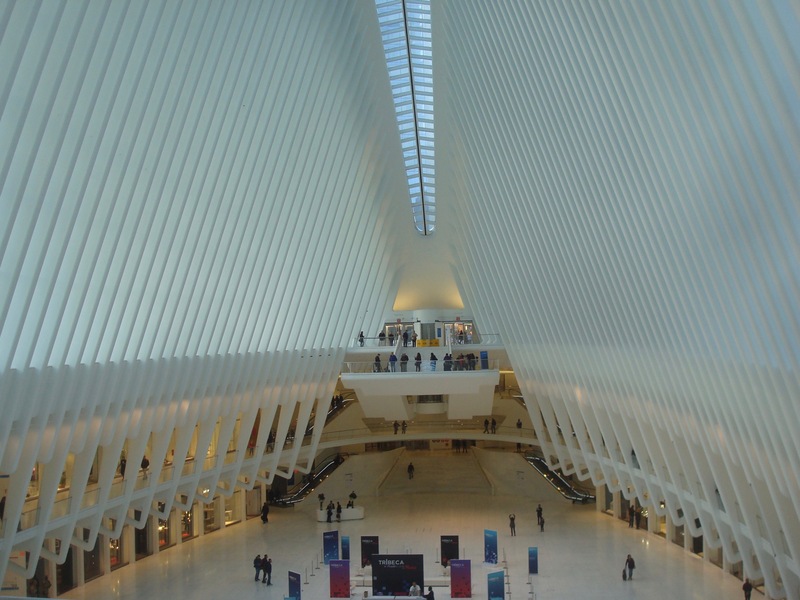 A couple of weeks ago, I finally got the chance to visit the new World Trade Center PATH station in New York, which its spectacular ‘Oculus’ hall. The station is absolutely amazing, and a fitting addition to the world’s greatest city. Visitors can’t help but gather and gawk at the beautiful structure, which was designed by Spanish architect Santiago Calatrava to resemble the wings of a dove in flight. The cathedral-like serenity inside stands as a contrast to the downtown hustle outside. The contrast to the decrepit, chaotic New York Penn Station could hardly be greater for Jersey commuters traveling into the city. And yet, even though it now takes its place among the most iconic buildings in New York, critics seem to be falling over themselves to mock the new station. They argue that its cost was vastly too high, and that with the addition of stores, it is little more than a ‘glorified mall’. At some level, this is to be expected, because New Yorkers like to complain about anything, and spending money on a station that is mostly used by the Jersey ‘bridge and tunnel crowd’ must be particularly annoying. But the $4 billion price tag does seem extraordinary. How could it possibly cost so much? First, it costs a lot because infrastructure is expensive. Most people have no idea how much it costs to build and maintain the stuff they use every day. Big projects regularly carry prices tags with ‘billion’ in them. For example, the New Jersey Turnpike widening around Cranbury Township cost $2.5 billion for a few miles of extra lanes and some improved intersections. Rehabilitation of the Pulaski Skyway is costing upwards of $1 billion, and that’s just to do maintenance on an existing bridge, not even to build a new one. Even to take a more mundane example, upgrading two traffic signals on Harrison Street in Princeton is costing $300,000. $300,000! For a pair of traffic lights! 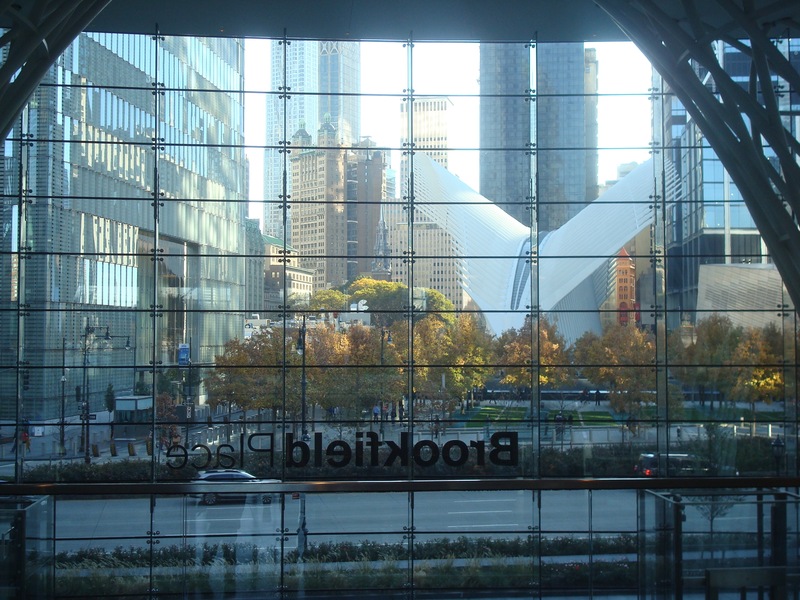 The things we take for granted are often very, very expensive, and that extends to massive transit hubs like the one at the World Trade Center site. Critics, such as the commenter Alon Levy, have argued that transit projects are much cheaper in other developed nations, and that we are therefore paying too much for projects like the WTC PATH station. These kinds of comparisons are tricky. There are not a huge number of projects to compare, so it is hard to be sure that differences in cost cannot be explained just by differences between the respective projects. For example, if we compare short, complex, underground projects in New York with longer projects in other countries, then the per mile cost seems much higher here. But this is not comparing like with like. We can try to specifically choose similar projects, but then it is an exercise in cherry-picking. If we had a larger number of projects to compare, then we could be more certain that US rail projects truly are more expensive. There is another problem with international comparisons, however. Even if rail projects are cheaper in France or Japan, we can only build a New York City rail project in New York. There are things about New York that make projects expensive – like the dense built environment and the Sandhogs labor union. But these things are not unique to New York. Other first-world cities are dense too, and have strong unions. (French labor unions are extremely strong, and regularly bring the entire country to a halt in industrial disputes.) On the other hand, the French government has thrown trillions of francs and euros at rail, over a period of decades, and the Japanese government did something similar. This has created a steady stream of work for union workers, incentivizing productivity, and creating expertise among contractors and regulators that is likely not as developed in the USA. Criticism of the cost of public projects is of course nothing new in the US. Many people may not be aware of the history of the construction of the Washington Monument in DC, which took 80 years amid squabbling over the cost and a temporary takeover by a bunch of anti-government activists called the ‘Know-Nothings’. Despite that fiasco, the structure is now iconic, and nobody can remember what it cost. It’s likely that the same thing will happen with the ‘Oculus’ at the World Trade Center site. That doesn’t mean we should be in favor of blank checks for transit projects. Agencies like the Port Authority could almost certainly improve their procurement procedures and be more transparent. The Bridgegate trial revealed that New Jersey Governor Chris Christie ran the Port Authority like a Mafia boss. Long-delayed reform of the agency has got to be high on the next Governor’s list. On the other hand, if people think they know how to deliver transit projects more efficiently, they should submit a bid instead of writing a blog (here’s a link to current solicitations). Shouting at people to make transit projects more efficient doesn’t really work. Maryland Governor Larry Hogan threatened to cancel the long-planned Purple Line if it couldn’t be done more cheaply. The project was made cheaper – by reducing the frequency of trains. The River Line in New Jersey cut costs by using diesel trains instead of electrifying the line, and not building the needed interchange at Pennsauken. In both cases, the cost cutting just made the finished product a bit crappier, without saving much money. The ‘fiscally disciplined’ Chris Christie is in another basket. After canceling the $8bn ARC Tunnel project, but now supports a $20bn project to do largely the same job. The new World Trade Center PATH station, although very expensive, is very good. We could have saved a few bucks by getting Joe Goodenough to design the project instead of a superstar architect like Santiago Calatrava. But the project would still have cost billions, and would likely end up being mundane, instead of the object of beauty that is there now. The WTC site deserves something special. It is a special place, with deep national importance. Building a fantastic, beautiful building here is not just a win for transit users: it reminds the world that we are still a great nation and we will rebuild better if we are attacked. As for the criticism that it is a ‘glorified mall’, are people really shocked by trade at the World Trade Center? Instead of all the criticisms, people might do better to support investment in transit to more efficiently connect NYC with lower-cost housing in Jersey. When places don’t plan for enough homes (basically everywhere in the New York region), and housing costs become prohibitive, it is common for people to say ‘we need better transit’. This is a fine idea, but we have to be realistic about the cost. A transit system done on the cheap is rarely one that people want to use. If we don’t want to spend the money, then infrastructure for walking and cycling is far cheaper. Build lots of dense housing near jobs and places where people want to go, and everybody saves time and money. Having more cars and roads is not a scalable solution. Eventually so much space is needed to store cars that downtown areas become glorified parking lots. A road network can only take so many cars, until it clogs up and even short trips become a total pain. If we won’t build housing, then transit is what is needed, but let’s not pretend it is cheap. This entry was posted in Alternative Transportation, architecture, Local, Placemaking, planning, Transit and tagged calatrava, oculus, Transit, world trade center. Bookmark the permalink.